I’m not sure how it happened but tomorrow is December 1st which is the beginning of two separate challenges. Challenge Number One is two write a post every day for 31 days. Challenge Number Two is the 31 Day Marigold Fermentation Vat. Tomorrow I shall start the vat, I still need to go to the store and purchase a fish tank bubbler for my vat, which will also utilize a fish tank heater. 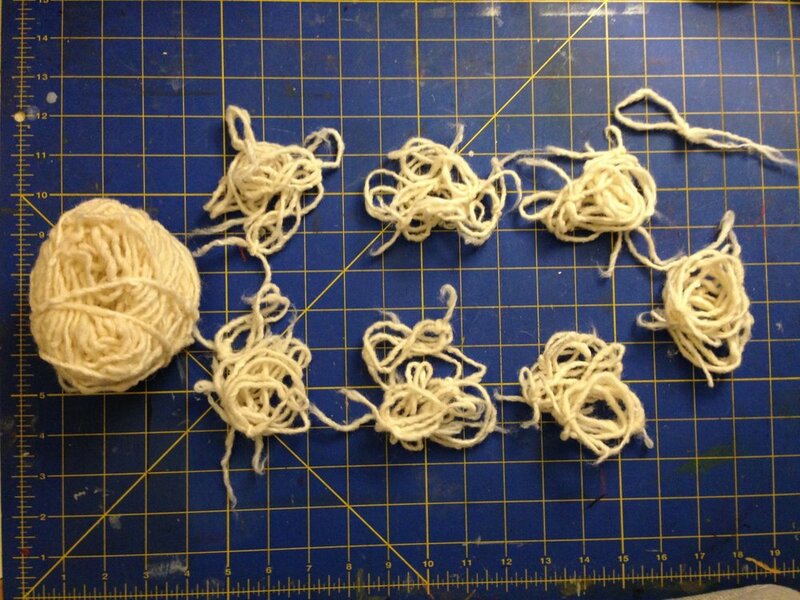 And finally, create little yarn butterflies for each day of the week to be removed from the vat. The fermentation challenge will end sometime around January 5th. 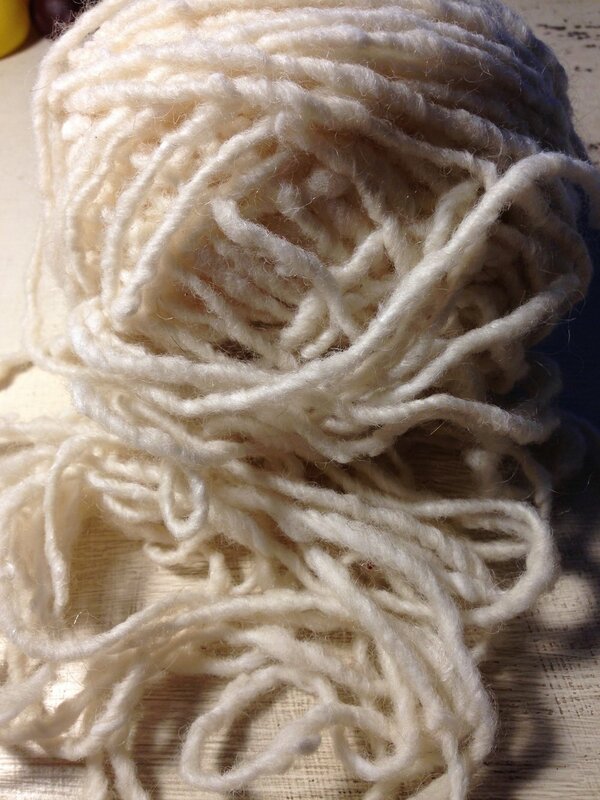 The wool yarn butterflies will be pre-mordanted with alum. 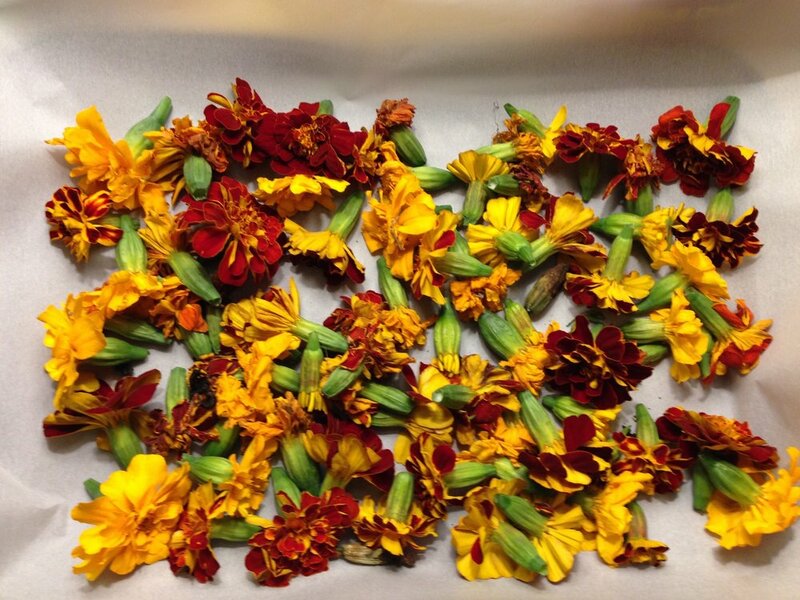 My fresh picked marigold flowers are resting on a piece of parchment paper and I will place them in my toaster oven on warm. In a couple of hours they will be dried enough to add to a gallon of warm water.